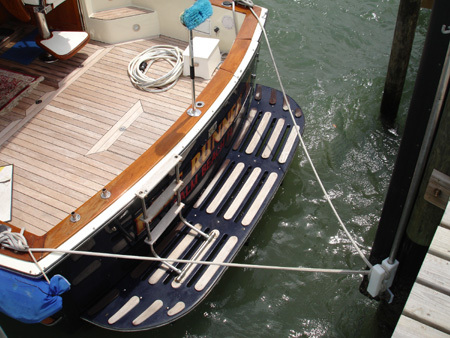 TideSlide Mooring Systems stern view tie-up! g docks and spans with the use of a custom bracket as seen below. Tight lines allow unique tie-ups, such as the center stern shot above. so you never have to adjust your lines, no matter the weather.